While a bench warrant is not the same as an arrest warrant, it can elicit similar feelings of stress, worry, and anxiety. You may have a bench warrant issued against you and not be aware. However, if you are aware a bench warrant has been issued, it is essential to hire an experienced criminal defense lawyer, such as Adam Stout. He will review the details of your case to establish your defense and optimize the end result. What Exactly Is A Bench Warrant? Put simply, a warrant of any kind allows police to make an arrest. The two primary types of warrants that are issued by a court are bench warrants and arrest warrants. As the titles may suggest, an arrest warrant is more severe than a bench warrant. However, both court-issued warrants carry negative and potentially serious consequences if not acted upon immediately. A bench warrant is typically issued for failing to appear for a scheduled court appearance, but may also be issued for reasons as stated below. An arrest warrant is issued by the court for individuals who are being charged with a criminal offense, meaning law enforcement officers have reason to believe that you committed a crime. Why Would A Bench Warrant Be Issued? There are various reasons why a court may issue a bench warrant and they involve an individual not complying with a court order. These are misdemeanor cases and can include, but are not limited to, failing to pay child support when ordered, violating probation, delinquency on a traffic violation, or failing to pay another court-ordered fine. What Are The Consequences Of A Bench Warrant? While not as severe as an arrest warrant, failing to take immediate action on a bench warrant can result in serious consequences and penalties. When a bench warrant has been issued, law enforcement will not actively seek you out for an arrest. However, if you are engaged by police, whether through a traffic violation or other reason, he or she will identify that you have an active warrant through a check on your driver’s license. This will result in you being taken into custody. In many cases, you will have the opportunity to post bond to be released from jail. However, depending on the misdemeanor, this may not always be the case. In addition, having a bench warrant issued results in the risk of you being identified on background checks for employment, leases, or otherwise. This could have detrimental personal and professional consequences for you and your family. What Should I Do If I Have An Outstanding Bench Warrant? Rather than waiting for law enforcement to find you, it is best to proactively seek an experienced and competent criminal defense attorney, such as Adam Stout with Stout Defense, P.A. who can review the details of your case and explore the best options for your defense. You have options to resolve your case, including scheduling a bond hearing and petitioning the court for withdrawal of the warrant in cases where it was improperly issued. 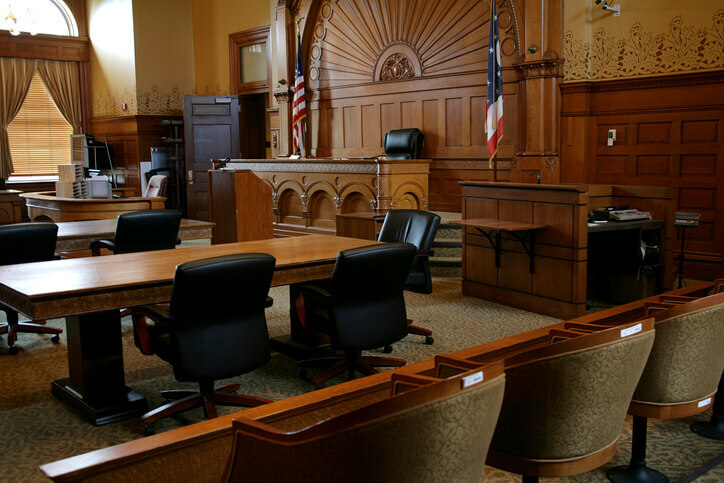 Adam Stout can bring both his experience in bench warrants as well as his experience as a former prosecutor to effectively evaluate all sides of your case.